Posted by Dave Emory ⋅ August 19, 2014Post a comment Email This Post Print This Post Tweet This! Introduction: Continuing our updates of previous stories and coverage of articles that surfaced during the hiatus in For The Record production, we present information that will serve as the foundation of future–as well as past inquiries. Beginning with the Boston Marathon bombing, we note that the Tsarnaev brothers appear to have had [as yet unspecified] help in making their bombs. As noted in FTR #773, evidence suggests that they may well have been part of a jihadist milieu being promoted to fight against Russia in Chechnya and the Caucasus. Those jihadists appear to have the support of petroleum-industry-linked elements of Western and Saudi intelligence. Might the “help” the Tsarnaevs received point in the direction of their intelligence handlers should the investigation be pursued to the extent that it might? Last week, we highlighted Saudi Prince Bandar’s probable role in financing ISIS. Available evidence also suggests that Turkey is also backing ISIS, with the blessing of the so-called “moderate” Islamist Tayyip Erdogan. Turning to the subject of another terrorist bombing that was inadequately investigated, we revisit the 1980 Munich Oktoberfest bombing. A blockbuster story from Der Spiegel highlighted aspects of the investigation that have been eclipsed. German officials have reopened the investigation into the Munich Oktoberfest bombing of 1980, blamed on a “lone nut,” Gundolf Kohler. 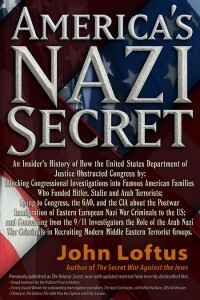 Far from being a lone nut, Kohler actually had profound links to a number of German Nazi organizations, including the Wehrportgruppe Hoffman, as well as to the postwar fascist international. In FTR #333, we examined information connecting Kohler with the Wehrsportgruppe Hoffman, headed up by Karl-Heinz Hoffman. Among the reasons the bombing investigation stalled appears to have been due to the fact that former BND agent Hans Langemann provided an alibi for Hoffman, while working for the Verfassungschutz, the Federal Republic’s domestic intelligence service. It is profoundly significant that the bombing–blamed by Strauss and associates on the left–happened just before critical German elections! Strauss appears to have played an active role in helping to obscure the real perpetrators of the crime. In 2012, a story emerged about Henry Kissinger and Richard Nixon (his boss at the time) conspiring with former Nazis and German intelligence officers and industrialists to destabilize the government of Willy Brandt. Program Highlights Include: Review of a U.S.-U.S.S.R. treaty on the use of environemental modification for military purposes, including the manipulation of tornadoes and earthquakes; review of a press conference given in 1997, at which then Secretary of Defense William Cohen said that terrorist grous were seeking to manipulate earthquakes and other phenomenon for the purposes of creating environmental terrorist disasters; the participation of Hans Globke in the Kissinger/Nixon network in Germany; review of some of the key aspects of the “investigation” into the Boston Marathon bombing; review of the long-standing Nazi ties of both Henry Kissinger and Richard Nixon; the role of Ptech financier Yassin Al-Qadi in financing the IHH, an apparent conduit for Turkish funding of ISIS. 1. Beginning with the Boston Marathon bombing, we note that the Tsarnaev brothers appear to have had [as yet unspecified] help in making their bombs. As noted in FTR #773, evidence suggests that they may well have been part of a jihadist milieu being promoted to fight against Russia in Chechnya and the Caucasus. Next, we revisit another terrorist bombing that had a larger participating milieu than was disclosed at the time. “Evi­dence Sug­gested Tsar­naev Broth­ers Did Not Act Alone” by Lara Salahi; Boston.com; 5/22/2014. Spe­cific evi­dence has led fed­eral offi­cials to believe that Tamer­lan and Dzhokhar Tsar­naev did not act alone in plan­ning the Boston Marathon attacks, accord­ing to argu­ments sub­mit­ted Wednes­day by the US Attorney’s office..
Dzhokhar Tsarnaev’s lawyers have requested that poten­tially incrim­i­nat­ing com­ments he made while inves­ti­ga­tors ques­tioned him at his hos­pi­tal bed­side to be scrapped as evi­dence in the case against him. At least eight clues led inves­ti­ga­tors to this con­clu­sion, includ­ing the “sophis­ti­cated” nature of the bombs that were built that “would have been dif­fi­cult for the Tsar­naevs to fab­ri­cate suc­cess­fully with­out train­ing or assis­tance from oth­ers.” Also, no traces of crushed black pow­der from fire­works needed for the devices were found in any loca­tion linked to the Tsar­naevs, indi­cat­ing they may not have built it them­selves. Behav­ior by the Tsar­naevs, includ­ing using tem­po­rary phones, and plan­ning another large-scale attack in New York City, also indi­cated the broth­ers did not act alone, accord­ing to prosecutors. These details sug­gest, “oth­ers might have rad­i­cal­ized them, directed them, trained them, assisted them, and/or con­cealed them; and that these oth­ers might be plan­ning or poised to carry out addi­tional attacks,” the report stated. 2. Last week, we noted the apparent role of Saudi Prince Bandar in the financing of ISIS. It appears that Erdogan’s Turkey is also involved in financing the group. The IHH “charity”–with many links to terrorist organizations and the Muslim Brotherhood–appears to be the main conduit for Turkish money to fund ISIS. Note also that Saudi sheikhs, including the Ptech and Al-Qaeda-linked Yassin Al-Qadi contribute to IHH. Yusuf Al-Qaradawi, heavily involved with the Al-Taqwa milieu, is also linked to IHH. “Why Is Turkey Supporting Islamic State Fighters in Iraq?” by David Phillips; CNBC.com; 8/13/2014. During my visit recent to Turkey, members of Turkey’s parliament and prominent personalities described connections between Turkey, Turks and militant Sunni organizations, such as the Islamic State in Iraq and Syria (ISIS). They allege a prominent role for Turkey’s Foundation for Human Rights and Freedoms and Humanitarian Relief (IHH), an Islamic charity with a history of assisting extremist groups. Bilal Erdogan, President-elect Recep Tayyip Erdogan’s son, has ties to the IHH board, and allegedly uses his father’s political network to raise funds for the organization. Some sources say Bilal has served on the IHH board, but the IHH web site does not currently list him as a board member. President-elect Erdogan was outraged by atrocities committed against Sunni Muslims in Syria. He became the chief critic of Syria’s President Bashar al- Assad, hosting opposition groups and the Free Syrian Army’s headquarters in Gaziantep. The West’s failure to support the Free Syrian Army further incensed Erdogan. Saudi Arabia, Qatar, and the United Arab Emirates provided funds, while Turkey coordinated the travel, payments, and weapons supplies for ISIS, Al-Nusra, and the Islamic Front. According to a March 2010 report of the International Institute for Counter-Terrorism, IHH had an annual budget of $100 million with field operations in 120 countries. IHH works with Muslim Brotherhood affiliates worldwide. The first known shipment of weapons to “Brothers” in Syria occurred in September 2012. Free Syrian Army commanders learned that a boat loaded with weapons docked in Syria. It was registered to members of IHH. Major contributors to Recep Tayyip Erdogan’s AK Party are “encouraged” to make contributions, lest they fall from favor and lose government contracts. IHH also receives money from international sponsors. IHH is financed by Yasin Al-Qadi, a wealthy al Qaeda-linked Saudi businessman with close ties to Erdogan. IHH is an affiliate of the Saudi-based “Union of Good.” Sheikh Yusuf Qaradawi, an advocate of suicide attacks in Israel, chairs the “Union of Good.” Abdul Majid al-Zindani, a radical cleric and “Specially Designated Global Terrorist” by the United States in 2004, serves on its board. In 2010, the German branch of IHH was banned for links to jihadist activity. The U.S. Department of State listed the Union of Good as a Foreign Terrorist Organization (FTO). 3. Turning to the subject of another terrorist bombing that was inadequately investigated, we revisit the 1980 Munich Oktoberfest bombing. The BND is, of course, the third incarnation of the Reinhard Gehlen spy outfit, the Third Reich’s Eastern Front intelligence service which morphed into the CIA’s department of Russian and Eastern European affairs and the de-facto NATO intelligence group for the same area. BND retained all of its Nazi character, employing SS war criminals of the highest magnitude. While working for BND, Langemann was the security director for the Munich Olympics of 1972, which didn’t turn out to be very secure at all when the Black September organization slaughtered Israeli athletes. The Spiegel article notes that the CSU head at the time–Franz Josef Strauss–dismissed any notion that right wingers might have been behind the attack. (The CSU is the Bavarian partner to the CDU, considerably farther to the right than the CDU.) Strauss himself has strong links to the Underground Reich, as well as to the OUN/B. One wonders if the network apparently underlying the Oktoberfest bombing may have been something similar to the P-2 linked “Super-Sismi” in Italy? One wonders, also, if the “Little Service” discussed below may have constituted such an entity? Kudos to DER SPIEGEL for breaking this story. “Oktoberfest Bombing Under Review: Officials Ignored Right-Wing Extremist Links” by Tobias von Heymann and Peter Wensierski; Der Spiegel; 10/25/2011. Thirty-one years after the 1980 Oktoberfest bomb attack, officials have reopened the case. Previously unknown documents reviewed by SPIEGEL show that the perpetrator, allegedly a lone wolf, was involved with the neo-Nazi scene and Bavarian conservatives. But the unwelcome clues were likely ignored. . . .
. . . Early in the case, there had been speculation about Köhler’s right-wing extremist background. And last year serious doubts emerged as to whether the 21-year-old was truly alone at the scene of the crime on Sept. 26, 1980. But the question of why the authorities never completely solved the case remains unanswered to this day. Could it have been that the party in power in Bavaria at the time, the conservative Christian Social Union (CSU), had no interest in seeing the case solved? It was less than two weeks before the Oct. 5, 1980 German parliamentary election, and the CSU and its then Bavarian state governor and chancellor candidate, Franz Josef Strauss, were not interested in right-wing extremist terrorism. In their worldview, the threat always came from the left. . . .
. . . The authorities also showed little interest in Köhler’s involvement in the Wehrsportgruppe (Military Sports Group, WSG) paramilitary organization run by the neo-Nazi Karl-Heinz Hoffmann, or that he had attended one of their meetings “sometime in the past.” At the time, right-wing extremist activities were being downplayed by those at the very top of the political ladder in Bavaria. Speaking in the state parliament in March 1979, Strauss said: “Don’t make fools of yourselves by attributing significance to certain groups — you mentioned Hoffmann’s Wehrsportgruppe Hoffmann today — that they have never had, do not have and will never acquire in Bavaria.” . . .
. . . In early August 1980, a few weeks before the attack, the student spoke with close friends about the Bundestag election scheduled for that October. He wanted to vote for Strauss, he said, but added that it was also important for the NPD to receive more votes. In the end, he said, only violence could produce change. It was about time, he said, for someone besides the left to stage an attack, namely the right. Neo-fascists in Italy had already done something similar. Only eight weeks earlier, a bomb attack had devastated the train station in Bologna, killing 85 and injuring 200. The right-wing extremist attack was initially portrayed as the work of leftist terrorists. The strategy apparently fascinated Köhler and other right-wing radicals in Germany. They envisioned a series of bombings that would spark fear throughout the country, setting the scene for the establishment of a new Nazi dictatorship. Another clue also raises questions about the background of the Oktoberfest attack. A few weeks earlier, Köhler’s idol Hoffmann apparently met in Italy with the internationally feared neo-fascist Joachim Fiebelkorn. The neo-Nazi from the town of Eppstein in the Taunus Mountains near Frankfurt was an informant for the German Federal Criminal Police Office (BKA) and a number of intelligence agencies. He also helped Klaus Barbie, the former head of the Gestapo in Lyon, build a paramilitary combat group in Bolivia. According to previously unknown Stasi documents, Fiebelkorn, “at the instruction of Chiaie,” had met with “Karl-Heinz Hoffmann in Rome on July 13, 1980,” as well as with French and Italian right-wing extremists. The Italian neo-fascist Stefano delle Chiaie was viewed as one of the leading international terrorists of the day, a sort of right-wing counterpart to the left-wing terrorist “Carlos.” Western intelligence agencies held Chiaie and his varying terrorist organizations, like “Ordine Nuovo,” responsible for anti-communist attacks on several continents in the 1970s and 1980s.. . .
. . . . Four youths told police that they had seen Köhler with several young men wearing German armed forces parkas shortly before the attack. They drew sketches of Köhler and his possible accomplices that largely coincided with the statements made by another witness. But the investigators also showed little interest in this possible lead. The SPD/FDP federal government had wanted to send investigators to the crime scene that night, but the Bavarians put them off. Strauss appeared at the Theresienwiese festival grounds late that night. The Bundestag election campaign was in full swing, and the Bavarian candidate for the chancellorship promptly went on the offensive and tried to blame the left for the attack. . . .
As revealed in a Telegraph article about the plot, one of their co-conspirators was Hans Globke, the gray eminence behind Konrad Adenauer (see excerpt below.) Globke was experienced with coup plots against the German government, having been part of the Naumann coup attempt staged in 1953 and discussed in The New Germany and the Old Nazis. One wonders how many other Naumann coup veterans were involved with the “little service” that networked with Kissinger et al. Note that German industrialists who previously supported Hitler financed the organization. This could not have been initiated without the go-ahead of Martin Bormann and his network. For both Nixon and Kissinger, conspiring with Third Reich alumni was nothing new. Nixon was pivotal in assembling and nurturing the Nazi wing of the Republican Party, as discussed in (among other programs) FTR #465. Fundamental to the development of “The Little Service” is the CSU and its larger partner party, the CDU. The CSU also figures prominently in the apparent Oktoberfest Bombing cover-up highlighted above. . . .Kissinger was recruited as a pro­fes­sional spy for Dulles shortly after the end of the war in Europe. Although there is no evi­dence that he per­son­ally recruited Nazis, Kissinger ran the intel­li­gence file room where records of Nazi recruit­ment were kept. He then trans­ferred to Har­vard where he spe­cial­ized in recruit­ing for­eign stu­dents for espi­onage. Later he worked for Dulles dur­ing the glory days of Office of Pol­icy Coor­di­na­tion (OPC). He was hired as a con­sul­tant for a pri­vate group known as Oper­a­tions Research Office, which planned to use for­mer Nazis as agents behind Russ­ian lines in the event of World War III. Men­tion of Kissinger’s clas­si­fied work was cen­sored from the orig­i­nal man­u­script of this book. . .
“Kissinger and the Secret Spy Network of Old Nazis and German Aristocrats ‘Who Plotted to Overthrow West German Government'” by Alan Hall; Daily Mail; 12/03/2012. Kissinger and Richard Nixon were aggrieved at the left-leaning government of the day’s burgeoning friendship with the hardline East German government. Kissinger became the contact man for a secret spy network made up of old Nazis and elite aristocrats aimed at torpedoing the plans formulated by Chancellor Willy Brandt. By the end of 1970, Kissinger was offering the spies advice on how to deal with Brandt’s Social Democratic government. The group he became embroiled with was called ‘The Little Service’ and was formed by the conservative Christian Democratic Union (CDU), which was allied with Bavaria’s Christian Social Union. One agent who visited Kissinger quoted him saying, ‘It might be possible to overthrow the current government, but it remains to be seen whether this would involve risks which could put a Christian Democratic Union (CDU)/ Christian Social Union (CSU) government in great difficulty. . . .
. . . . Brandt pursued a policy of engagement with the German Democratic Republic, convinced it was better to build bridges with the dictatorship to defuse Cold War tensions rather than always being at loggerheads. For the all-white, all male conservatives of the CDU, this was too much. They wanted West Germany to face off against the Soviet-backed regime in the belief that isolation would make it crumble. It was out of this belief that its private spy organisation, made up of many former Gestapo and SS men as well as titled barons and counts, was formed. Political scientist Stefanie Waske spent seven years researching letters from politicians from the Christian Democratic Union and its Bavarian sister party the Christian Social Union, and her results are to be published next year; potentially embarrassing timing for Chancellor Angela Merkel, who in November 2013 will seek re-election as CDU chancellor for the third time. Waske approached Kissinger for comment but he refused, as did many of the noblemen who worked for the The Little Service which came into being in 1969 after the party lost its first general election since the postwar republic was formed in 1949. Details of her research are published in the current edition of the German intellectual weekly Die Zeit. The catalyst for the spy group was Brandt’s decision to recognize post-WW2 borders dividing Germany and a pledge Brandt gave that his state would not use violence against the Communist one in the east. Conservative MP Karl Theodor Freiherr zu Guttenberg, who was the grandfather of the disgraced former defense minister who had to resign last year after it was discovered he cheated on his doctorate, held a meeting in the autumn of 1969 with former chancellor Kurt Georg Kiesinger and leading CDU and CSU politicians, the CSU being the Bavarian wing of the party. ‘They decided to form an information service for the opposition,’ said Waske. ‘It was a secret spy service.’ The former head of the BND, Germany’s [foreign] intelligence agency [Reinhard Gehlen–D.E. ], was tapped and he offered up a ready-made web of informants across the globe in countries as far apart as the US, France and Saudi Arabia. Hans Christoph von Stauffenberg, the cousin of the man who tried and failed to kill Hitler in the July 1944 bomb plot, was chosen to head the network. Casimir Prince of Sayn-Wittgenstein, who would later only narrowly miss imprisonment for the CDU’s party donation scandal of a decade ago, was recruited to raise the hundreds of thousands of D-marks necessary to fund the network. He collected from conservatives in industry, many of whom had previously supported Hitler, and who now viewed with suspicion the apparent coziness developing between Brandt and the Communists. The first act was to open a secret ‘back channel’ to Kissinger who was keen to know what the Soviets were up to at all times, including their puppets in East Berlin. The treasurer of the group was Alfred Seidl, a former Nazi who acted as the chief defense lawyer for Hitler deputy Rudolf Hess. ‘In 1971 Brandt was talking about the administration of Berlin with Leonid Brezhnev in Yalta and Stauffenberg’s informants were delivering secret information to the conservatives who were discussing it with Kissinger,’ said Waske. The intelligence gleaned came from eavesdropping, intercepted mail, informers and telephone taps. . . .
“West Germany’s CDU Had Private Spy Service” by Matthew Day; The Telegraph; 12/03/2012.
. . . Drawing on the ranks of former members of the German secret service, the network brought together such figures as Hans Globke, co-author of the Nuremberg laws . . .